Description Factory MSRP: $44,430 Dealer Discount of $1,000 off MSRP Price includes: $1,500 - GM Down Payment Assistance Program. Exp. 04/30/2019 This allowance must be used as down payment on an standard rate APR finance contract through GM Financial, $2,000 - Silverado1500 Double/Crew w/LV3 (4.3L V6) Bonus Cash Program. Exp. 05/31/2019, $2,000 - Chevrolet Conquest Purchase Private Offer. Exp. 04/30/2019All advertised prices are net of factory rebates. Leases are excluded. Please check with dealer for eligiblity for the listed rebates. 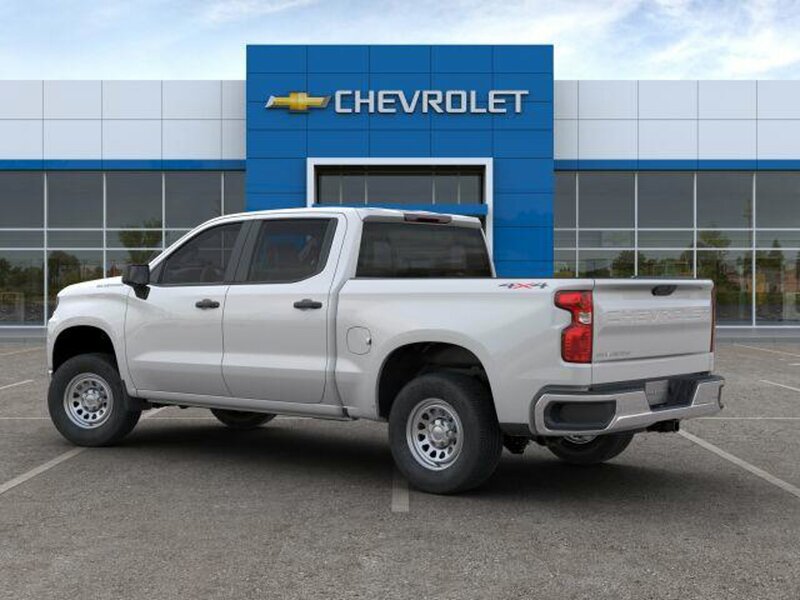 See dealer for details.Contact Connell Chevrolet today for information on dozens of vehicles like this 2019 Chevrolet Silverado 1500 Work Truck. Simply put, this Four Wheel Drive is engineered with higher standards. Enjoy improved steering, superior acceleration, and increased stability and safety while driving this 4WD Chevrolet Silverado 1500 Work Truck. The Chevrolet Silverado 1500 Work Truck will provide you with everything you have always wanted in a car -- Quality, Reliability, and Character.